Eggs symbolize new beginnings, fertility and rebirth. They are amazing as massage stones but also make unique home decoration. Nephrite jade is one of two different mineral species called jade. The other, jadeite which is much rarer may contain a wider variety of hues. 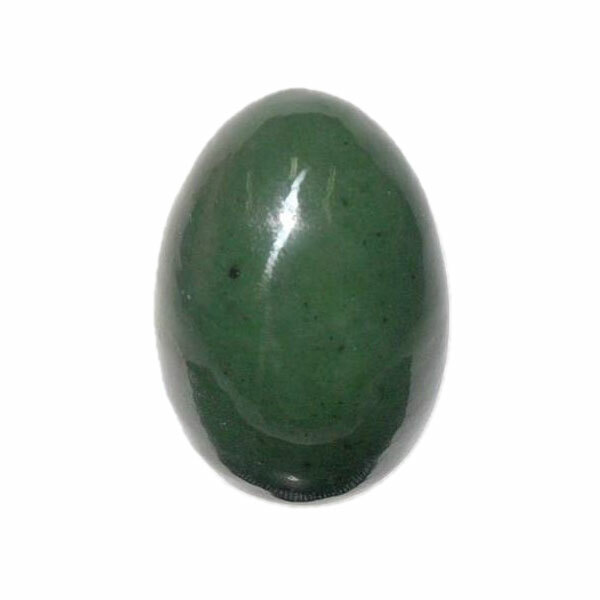 Nephrite jade is mainly composed of grays and greens and occasionally yellows, whites and browns. Jade is a stone with a long history. Ancient Chinese symbolized it with courage, wisdom, justice, and mercy. The soothing green colour of jade makes it a wonderful healing stone, which increases fertility and longevity. It is an emotional balancer that gives the feeling of peace, steadiness, and nurturing.